When Is Cleansing Before Bedtime Not Enough? We used to believe that a quick wash with soap and water, or a swipe of a facial wipe was sufficient. But we have learned that neither of those techniques actually removes all the dirt and grime that collect on our skin each day. Then along came the Koreans with all sorts of new techniques for cleansing, the best of which is a double cleanse. No mystery here, you cleanse first with an oil based cleanser to break down any makeup, remove dirt and excess oils. Then you follow with a water based cleanser for your particular skin type, having ingredients that hydrate, calm or treat acne and oiliness. Double cleansing may be a two-step technique but it only adds a few minutes to your usual regimen, but as with most things in skin care, it’s not a one-routine-fits-all. Considering every skin type and taking into account your specific skin concerns, choosing the right double-cleansing duo is key in making sure you get the most out of your routine. Using the best double-cleansing products for your skin type also allows you to avoid over-washing and over-drying your skin. If we strip too much of our natural oils, our body can respond by producing more oil and that can lead to breakouts and irritation, that’s why I suggest double cleansing only at night—when you actually have dirt and makeup to wash off—to make sure you’re not altering the natural balance of oils and microbes on your skin. Follow your two step cleanse with serums that build and replenish your skin, a moisturizer that hydrates and an eye product to treat fine lines and wrinkles. There are so many commonly available foods that feed your skin. No need to search out exotic foods. Reap the benefits provided by fresh foods and achieve a glowingly healthy and supple complexion. Take advantage of seasonal produce for the best buys and the freshest fruit and veggies. Drinking water is one of the best things you can do to keep your skin in shape. It keeps your skin moist — and that makes fine lines and wrinkles less noticeable. It also helps your cells take in nutrients and get rid of toxins. And it helps with blood flow, keeping your skin glowing. Just how much water? Divide your weight in half. The result is the number of ounces of water needed daily. Selenium protects your skin from cells that gather free radicals. Free radicals cause signs of aging like wrinkles and dry skin, and tissue damage. Selenium may also help prevent skin cancer.Selenium is found in Brazil nuts, button mushrooms, shrimp, lamb, and fish like snapper, cod, halibut, tuna, and salmon. Foods like cooked beef, light turkey, oysters, sardines, crab, and whole-wheat pasta also have selenium. Antioxidants are important to slowing and preventing free-radical damage.They are found in all kinds of foods, especially colorful fruits and vegetables like berries, tomatoes, apricots, beets, squash, spinach, sweet potatoes, tangerines, peppers, and beans. Your body makes a key antioxidant called Coenzyme Q10. But as you get older, you make less of it. It’s involved in making energy and helping your cells work. You can find CoQ10 in fish like salmon and tuna, poultry, organ meats like liver, and whole grains. If you use a skin product that has CoQ10, it may help soften wrinkles and other signs of aging. Nobody wants dry, flaky skin. So grab an orange, carrot, or slice of cantaloupe. They’re loaded with vitamin A. You can also find it in leafy greens, eggs, and low-fat dairy foods. Vitamin A is also found in leafy greens, eggs, and low-fat dairy foods. When you use a skin product with vitamin A, your wrinkles and brown spots may look better. Those products, called retinoids, are common prescription treatments for acne and other skin conditions. The sun can be tough on your skin. Vitamin C can help protect you. It also helps undo sun damage to collagen and elastin, which firm up your skin. Get vitamin C from red bell peppers, citrus fruits, papayas, kiwis, broccoli, greens, and Brussels sprouts. But nothing defeats sun damage like a good sun screen containing zinc oxide and/or titanium dioxide. 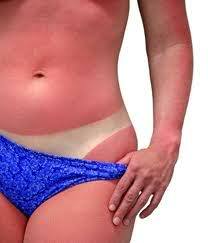 Sun screen should be reapplied every two hours during sun exposure. Another antioxidant that may help save your skin from sun damage and inflammation is vitamin E. Get it from vegetable oils, nuts, seeds, olives, spinach, asparagus, and leafy greens. Try a topical that contains Vitamin E to soften the appearance of fine lines and wrinkles. Your skin is the largest organ of your body and it needs protection on the inside and the outside. Omega-3s and omega-6s are good fats that help make up your skin’s natural oil barrier, keeping away dryness and blemishes. Essential fatty acids like these help leave your skin smoother and younger-looking. You can get them from olive and canola oils, flax seeds, walnuts, and cold-water fish like salmon, sardines, and mackerel. Some oils provide your skin with more than just essential fatty acids. Good-quality ones like extra-virgin olive oil and cold- or expeller-pressed oil are more simply processed than many other kinds. They may have more nutrients that are good for your skin. These oils may also help lube up your skin and keep it looking and feeling healthy. Green tea may be the closest thing to a magic potion that you can find for your skin. It helps stop inflammation, helps slow DNA damage, and can even help prevent the sun from burning your skin. You can find green tea in lots of cosmetics, but why not go straight to the source: Drink it! Feeding your skin from the inside as well as following a home program of cleansing, exfoliating and hydrating will provide the healthy glow you seek. Wishing for that glowing skin of your youth? Don’t just wish – Do Something! It’s never too late to start taking care of your skin! Our skin begins to age in our mid-20s, but you probably didn’t notice it then. Those products you have used for years may not be giving you the results you want anymore. Our genetics, daily habits, and the sun cause changes in our skin, but there are several things that you can do to achieve softer, healthier skin. Begin by using a creamy cleanser if you have dry skin, or if you are oily, use a foamy one. Breaking out? Choose a cleanser containing beta green tea – a natural antiseptic that is great for problematic skin. Always cleanse with warm or cool water. Hot water can strip away your skin’s natural moisture. Pat your face dry — don’t rub. Moisturizers protect and improve your skin. Even if your skin tends to be oily or breakouts, you can use a lightweight, oil-free moisturizer every day. Dry skin may need to be moisturized more than just once a day. Very dry skin can often benefit from using a serum before adding moisturizer. Serums and moisturizers are best used while your face is still damp to seal in moisture. And don’t forget your neck! Using moisturizer and sun screen on the neck can slow the formation of crepey skin. Sun protection is needed during daylight hours, even when it is cloudy or if you’re staying indoors. The sun’s rays can pass through clouds and windows, so you’re always exposed. Many moisturizers have sunscreen, as does some make-up. Look for a broad-spectrum screen, which means it guards against both UVA and UVB rays. I think the best sun protection is derived from a product containing zinc oxide and/or titanium dioxide. Those products sit on the surface of the skin and reflect the sun’s rays away. Use your sunscreen on your lips, neck and chest too. Driving? Be sure to protect the backs of your hands as well. And if you sweat or are outside for a long time, reapply sunscreen every 90 minutes to stay protected. Wearing make-up? Boost your protection by puffing on a mineral powder. Begin with clean skin, apply any serums or gels that treat specific issues (they need to be next to your skin to get the most benefit), follow with your moisturizer and top it off with your sunscreen. Make-up can be applied after the sunscreen. A word of caution here – never sleep in your sunscreen. Your skin needs to recover and rejuvenate while you sleep. Cleanse, use your corrective serums, moisturize and have sweet dreams. Exfoliation of dead, dry skin will return your skin to a healthy glow. Normal to dry skin can benefit from a gentle exfoliation weekly. Use an enzyme, gentle scrub or a spinning brush to gently rid your skin of that dull outer layer. Oily skin can usually be exfoliated more often. Get the most from your enzyme by adding steam. Cleanse your skin, apply the enzyme, and then jump in the shower. The steam will increase the power of your product. Remove it at the end of your shower. Exfoliation exposes a fresh new layer of skin, but it also makes your skin more sensitive to damage from the sun, so be sure to protect that glow with a good sunscreen. Your skin care pro offers many in salon treatments that treat more deeply than retail products. Check out progressive chemical peels and deeply moisturizing facials to rid your skin of the dry and dulling layer left over from exposure to sun and summer heat. It’s the End of Summer. How’s Your Skin Looking? We Texans love to spend time in the sunshine, and we women believe that brown fat looks better than white fat, but sun can really take a toll on your skin. The sun gives off ultraviolet (UV) light that damages your skin and can cause sunburn. Over time, these rays can lead to wrinkles, dark spots, and other problem areas. The result: You can add years to your looks. Research shows that UV exposure is the reason behind 80% of your skin’s aging. Fortunately, there are some ways you can turn back the clock and reverse some problems caused by the sun. It’s not possible to erase all of the damage, but there are some steps you can take for these common conditions. However, the best thing you can do is use a good, physical sunscreen product and avoid the damage all together. If your skin turns pink, painful and particularly if you have blisters, most of the harm to your skin has already occurred. Sunburns signal that there has been damage to the DNA in your skin cells and over time, these injuries add up and lead to physical changes like wrinkles, dark spots and even skin cancer. While there are plenty of things you can do to ease the pain of sunburn, there are only a few ways you can counteract the damage before it becomes permanent. Wear sunscreen, preferably on containing zinc oxide or titanium dioxide and reapply it at least every 80 minutes. You’ll protect yourself from future UV radiation and give your skin’s enzymes time to repair some of the damaged DNA. The sun can really dry out your skin, leaving with you rough, flaky patches. Gently exfoliate using a gentle body scrub to remove the top layer of dead skin cells to reveal the soft skin beneath. But beware, some scrubs contain ground up peach pits or nut shells. These particles may have sharp edges that can scratch your skin. Look instead for scrubs containing jojoba beads which are spherical and can polish that dry skin away. Follow up with a moisturizing lotion or cream. If you’re sunburned, don’t use petroleum-based products, which trap in heat. Staying hydrated will help as well, so drink plenty of water. • Beta-carotene: Research shows that this antioxidant makes skin more supple and flexible and reduces sun-related wrinkles. It is found in fruits and vegetables that are brightly colored, like carrots, spinach, and cantaloupe and in many skin care products. • Retinoids: These compounds boost the amount of collagen in your skin. Your aesthetician can offer creams or a serum, containing tretinoin or retinol. Beware though, retinoids can make you very sun sensitive, so if you are using them, be vigilant about using sunscreen. • Chemical peels: Progressive chemical peels can remove the top layer of dead, dry, skin cells which make your skin appear dull and dry. Utilizing a combination of acids, those cells are digested, revealing a smoother and brighter complexion. There is no down time associated with this treatment. • Microdermabrasion: This technique uses tiny crystals to remove the top layer of skin cells. The micro injury to the skins surface prompts the body to make collagen in response to the injury – and that’s a good thing. Hyperpigmentation can be minimized with a number of treatments that can help lighten these dark spots, also known as liver spots or age spots. Your skin makes a chemical called melanin which gives your skin its color and protects against damaging UV rays. Too much sun can cause the melanin to clump, which shows up as a flat brown or black spot. • Skin-lightening creams: Products with hydroquinone can lighten skin. Kojic and glycolic acids are two other ingredients that can help lighten these marks, too. • Retinoids: Along with smoothing wrinkles, these compounds speed up the turnover and shedding of pigmented cells. • Chemical peels, microdermabrasion, and laser therapy: These treatments can remove outer layers of skin so new, clear skin can come to the surface. More than 6 million Americans get these splotchy brown or grey patches known as melasma. Although experts aren’t certain of the exact reason for it, they know that sun exposure can cause melanin to go into overdrive and create the spots on the skin. Scientists are also looking at a possible link to both the liver and hormones as a cause for melasma. Melasma can be treated with many of the same treatments that work for age spots, such as skin-lightening creams. One study found that hydroquinone, kojic acid, and glycolic acid all worked well in reducing the splotches. Chemical peels, microdermabrasion, and laser therapy are also options. Most important, strict sun avoidance and liberal use of broad-spectrum sunscreens that protect against UVA, UVB, and visible light are a must for successful treatment of melasma. Bottom line, protect yourself with a good sunscreen, drink lots of water, use an exfoliating scrub to gently remove dry skin and moisturize, moisturize, moisturize! Enjoy the last weekend of summer! Don’t let this be you!